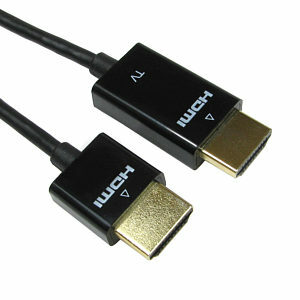 1.8m HDMI to VGA Cable Connects HDMI to a VGA monitor or TV Length 1.8 meters Built in electronic converter Supports up to 1920 x 1080 @ 60Hz Gold plated connectors Input HDMI. Output VGA. No external power required. 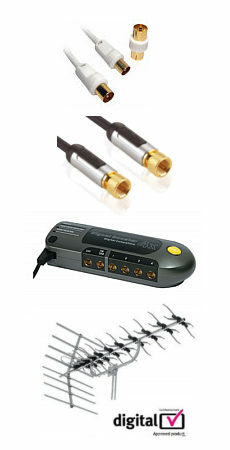 Please note this is a direction cable, it only converts HDMI to VGA and not the other way around. 20m HDMI Cable - Pro Grade Gold Plated High Speed with Ethernet A professional grade cable for transferring high-bandwidth, uncompressed digital video, multi-channel digital audio and control functions Compatible with HDTV and HDCP (High-Bandwidth Digital Content Protection) - the content scrambling standard for modern, advanced digital video displays and DVD players Connectors: HDMI Male/Male, Type A 10 year warranty against manufacturing defects.